I picked a card that I did 3 years ago. The use of the Stitched Belly Band dies made the card so similiar to the first one. The sentiment is also from this set. The candy canes are from the Holiday Tags Stamp & Die set and I used one of the Fun Stitched Edges to create the scalloped layer. It's fun going back seeing what you made a couple of years ago. Thank you so much everyone for your wonderful comments and support. You all are such awesome fans, I really appreciate each and everyone of you!! 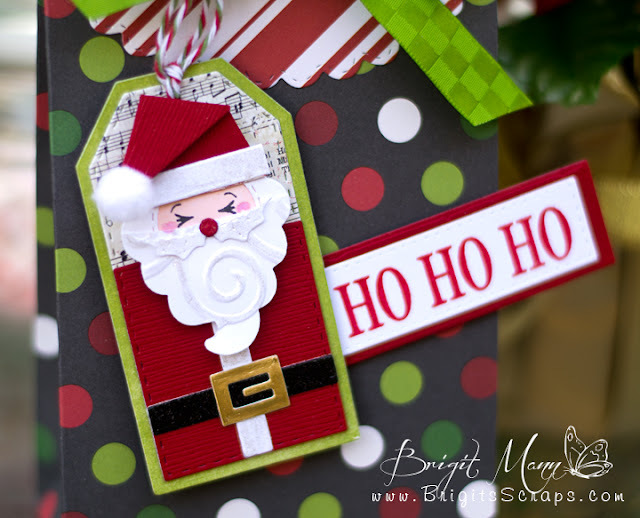 cute little Santa tag I made for my Christmas Treat Bag. I was very proud of this tag, lol it's made with all dies!! 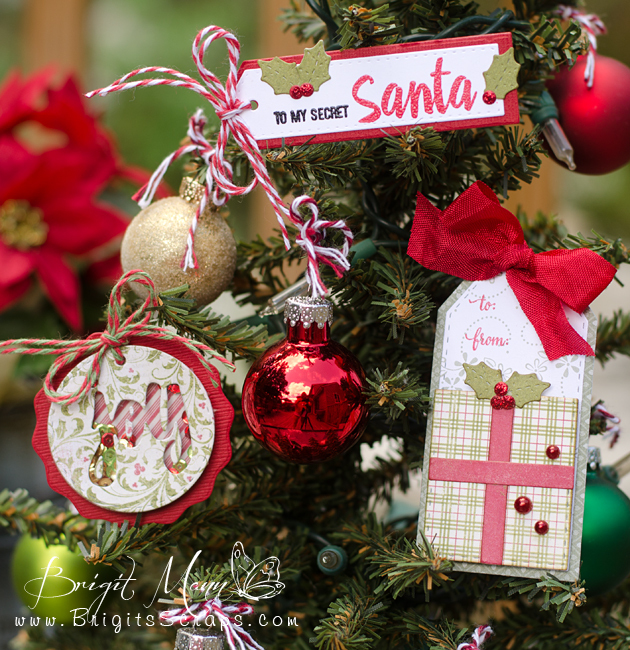 Of course the tag and Santa's jacket is from the new Holiday Tags Stamps & Dies set but I added the ice cream cone from the You Make Life Sweet set to create his beard and hat. It was super simple and I think he looks pretty cute, his face is also from that set. I cut the cone out three times one white piece and two red for the front and back of the hat. I also used one of the Bunch of Fun Circles for his face and I trimmed another cut piece of Santa's belt for the trim on the hat. If really went together pretty quick, I'm going to make a bunch of these for Christmas!! The paper is Echo Park's Mini Theme Jingle All The Way. Oh and I created the bag with the We R Memory Keepers Gift Bag Punch and the top flap is from the New Stitched Treat Sleeve Die, it fits the large size bag, I love adding flaps to the bags so I was excited this fits nicely. ALSO, DON'T FORGET our sale starts RIGHT NOW here:http://shop.my-creative-time.com/New-Release_c40.htm! Use the code: SEPT2015 to receive a discount off your entire purchase! This sale applies to "IN-STOCK" items ONLY. This sale will end on Friday, September 25th @midnight PST. I hope you are enjoying all the Sneak Peeks so far! 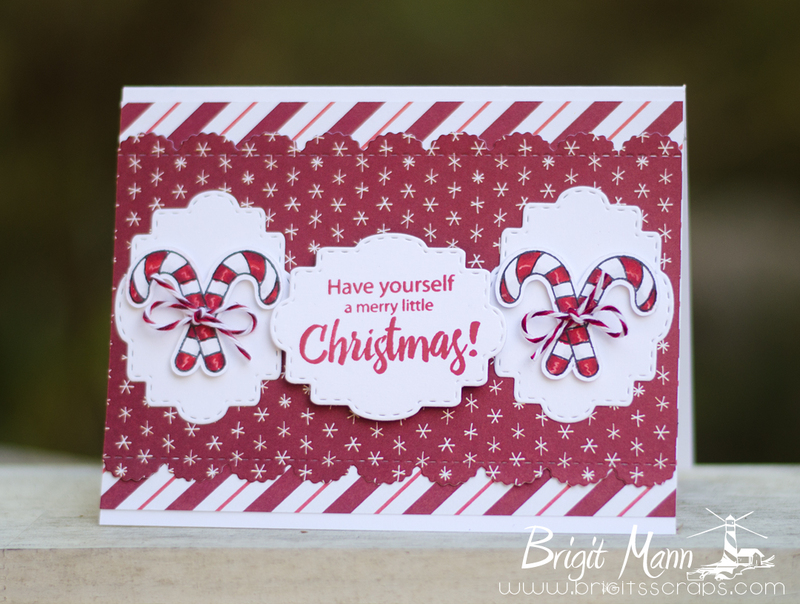 I'm so excited to show you this new die, it's one of my favorites for sure! This die is awesome and as you can see the Belly Band fits it perfectly, so happy to have that work with a couple of dies. A nice size cookie would fit beautifully in this treat sleeve. I cut another flap from the die and added it to the front and the sentiment of course is from the Belly Band Stamp Set. The paper I used for this project is Graphic 45's Steampunk Spells. Welcome back to another day of Sneaks!! I love these Belly Band Dies and Stamps, the dies are fantastic and wonderful sentiments!! I made a Thanksgiving treat with the Embossed Gift Card Holder Die, I just added another score mark so it fits a Ghirardelli Square. The Band fits this die perfectly. The leaves are from the Fall Friends set and the paper is Give Thanks by Imaginisce. I'm really very excited about my NEW Brother ScanNCut2 that I bought from HSN. I've been scanning stamps and cutting them out for many years now but this machine just made the whole process quick and so easy. After a quick calibration, my stamps have cutout beautifully, totally love it. Here's a quick card I made, I colored the pumpkins and leaves first and then ran it through the SNC2 which scanned and cut them, look how that white outline came out!! Here's a couple of my first cuts right after I calibrated it. It also will cut right on the lines, below is the comparison between the white border and no border. I bought this machine to use just with my stamps but I'm pleasantly surprised just how well it cuts out shapes, beautiful clean cuts, maybe better than my other machines. I really want to test everything before I would recommend it over another machine though, I'll keep you all posted!! By the way the sentiment is from My Creative Time's Fall Friends set and the rest of the stamps are Peachy Keen Stamps. Welcome Back to Day 2 of Sneaks! 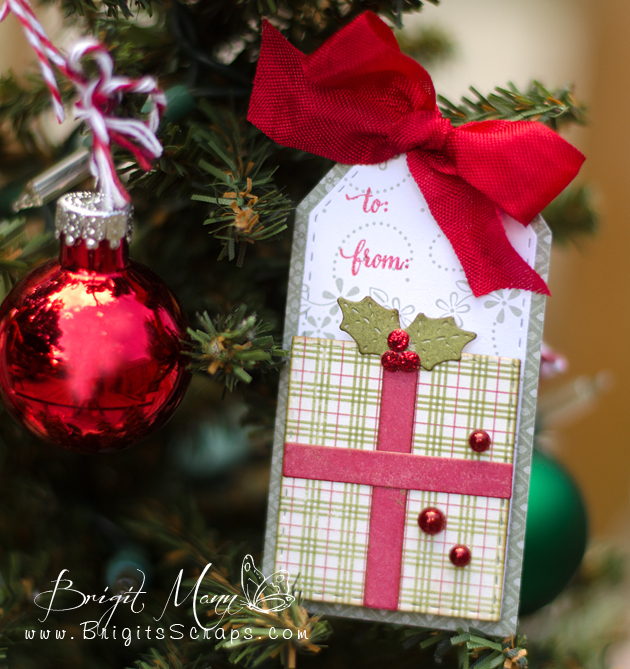 I love homemade tags, they make a gift so special I think. Well if you love them too you are gonna love this set. Here's a few fun ones I put together very quickly with this set. 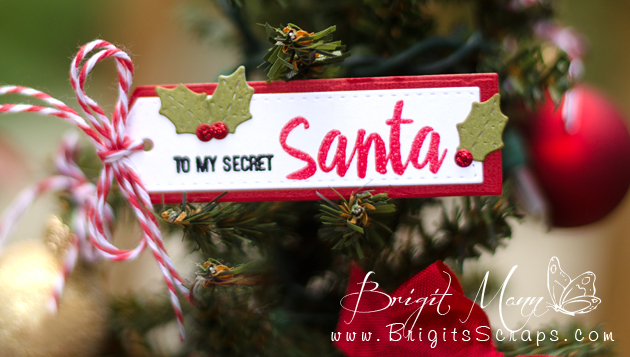 Love this cute little Secret Santa tag! Made a cute little shaker with the joy die from this set. 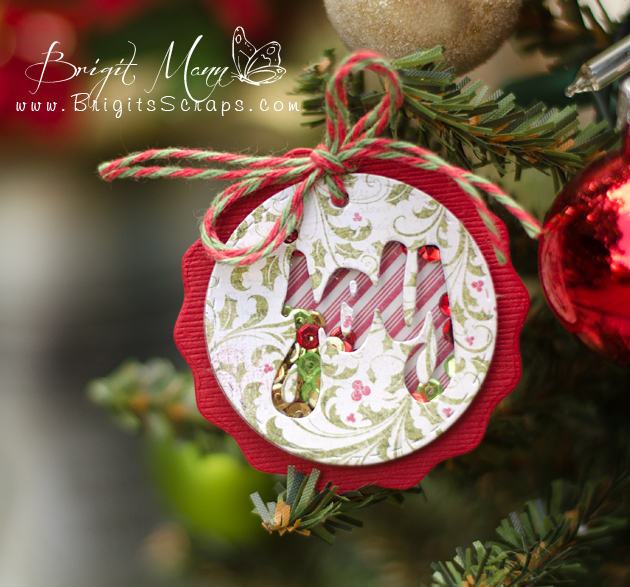 I'm sure you saw Miss Emma's adorable tag using these dies, I made a present out of mine. 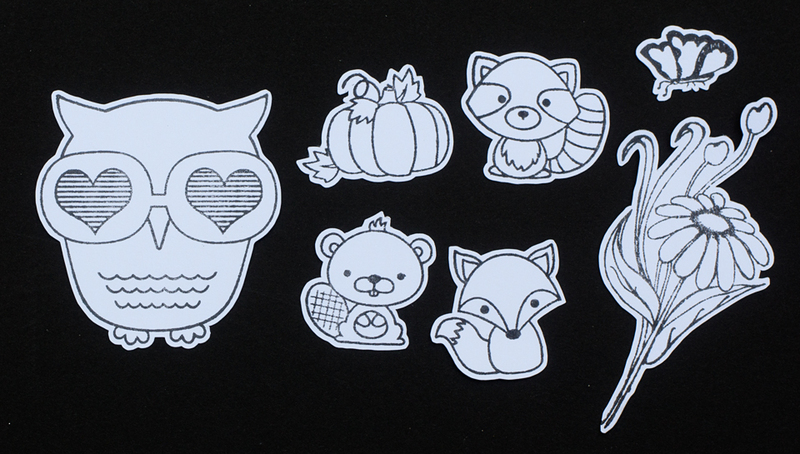 A New Challenge starts today over at SVG Cutting Files!! This month's theme is Fall. 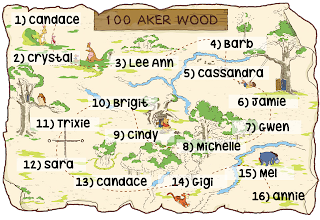 Blog Challenge runs from Sept 15th - Oct 14th. I used SVG Cutting Files Haystack Slider Box and the I Love Apples set. 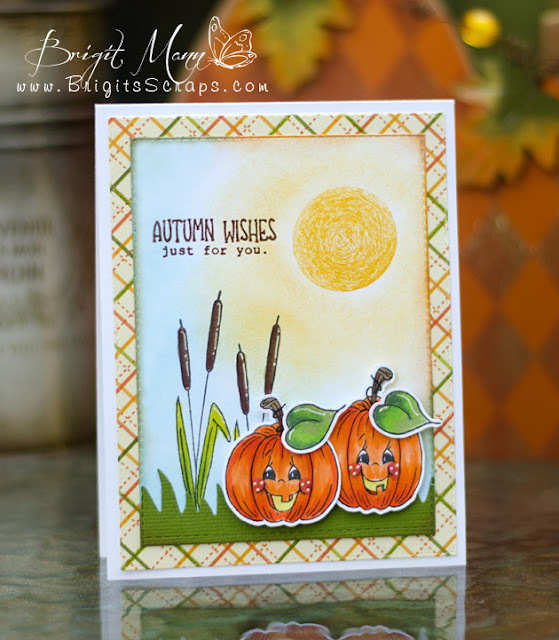 Stamp sentiment is from Jaded Blossom's Harvest Signs and the Sign is from their Fall Dies set. 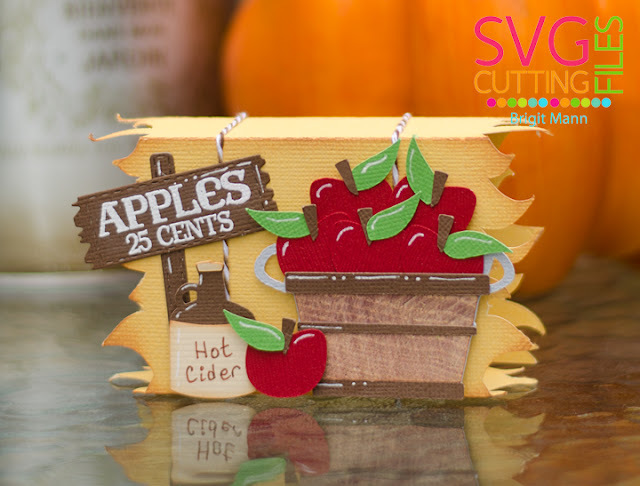 This is such a cute little box, great for some fall treats!! It's What A Treat Wednesday over at MCT today! 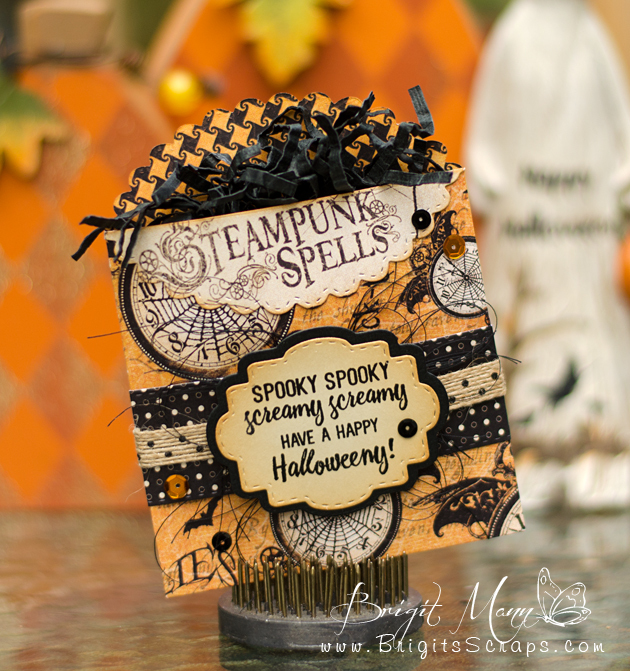 I created this BOO treat box using the new die that was offered Free fir the Labor Day sale. 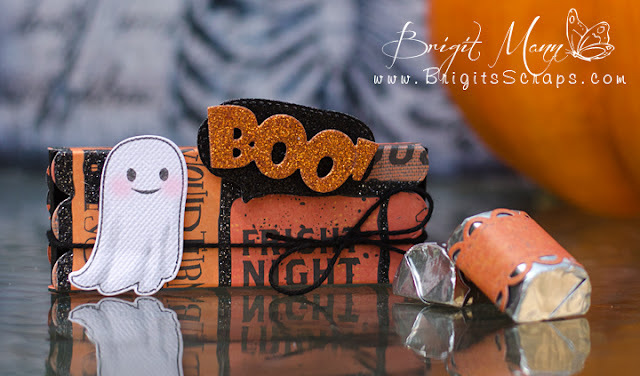 I used the Treat Slider Box Die along with the ghost from the Too Cute To Spook Stamp Set. 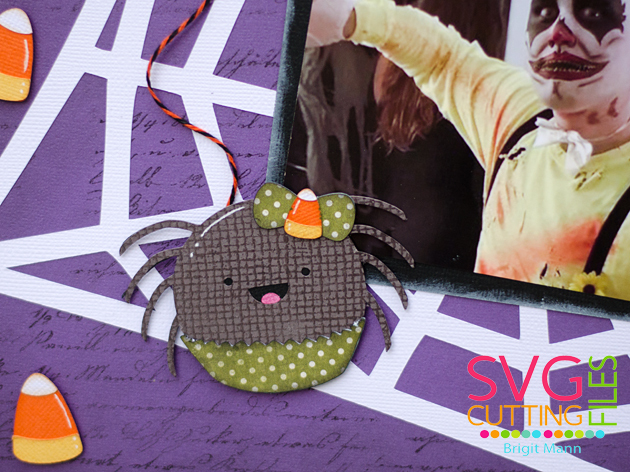 I placed the Boo on a speech bubble from the Fun Speech Bubbles Stamp Set just so it would pop a little more. 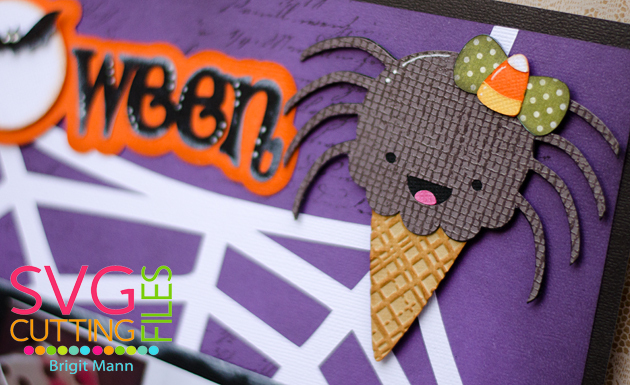 I love making Halloween treat boxes, it's definitely on of my favorite things to do! 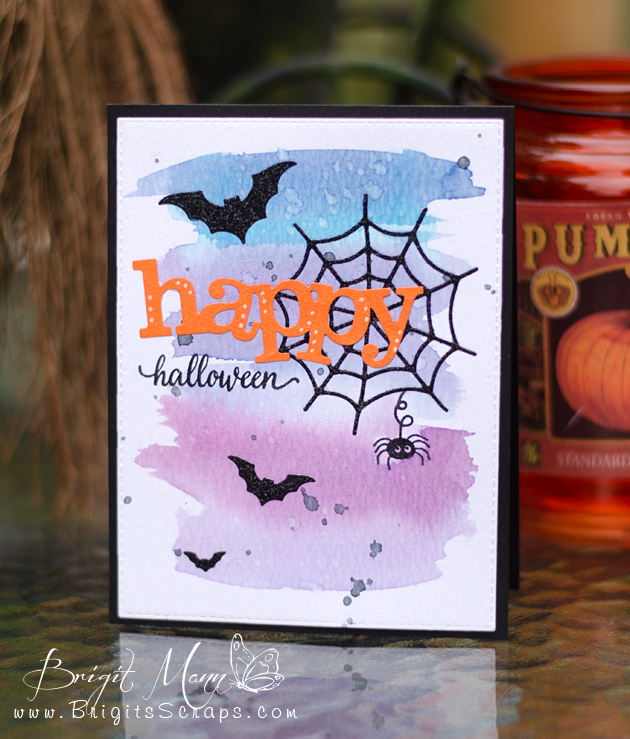 Welcome to a new Stamp/Die of the month from My Creative Time! 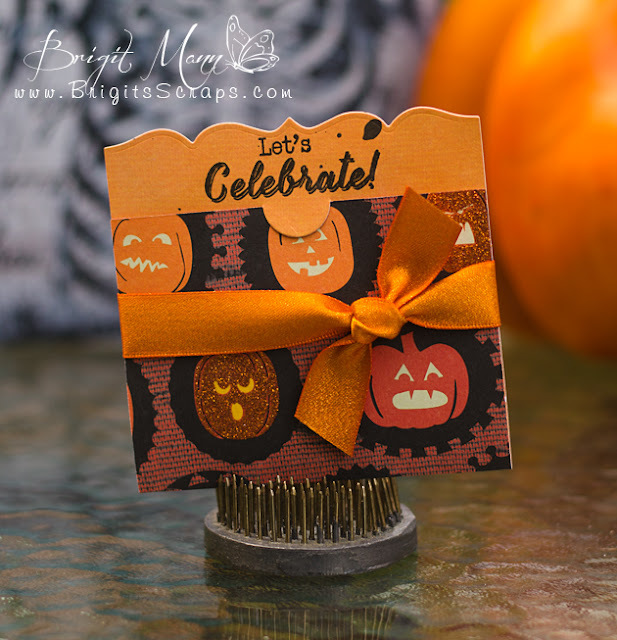 Let's Celebrate Stamp Set, which is on sale this month! Since this set is all about party celebrations I thought I'd used the Embossed Gift Card Holder to make a Halloween birthday invitation. I've been looking through my stash of paper and found this Martha Stewart paper, thought it would look cute for this card. 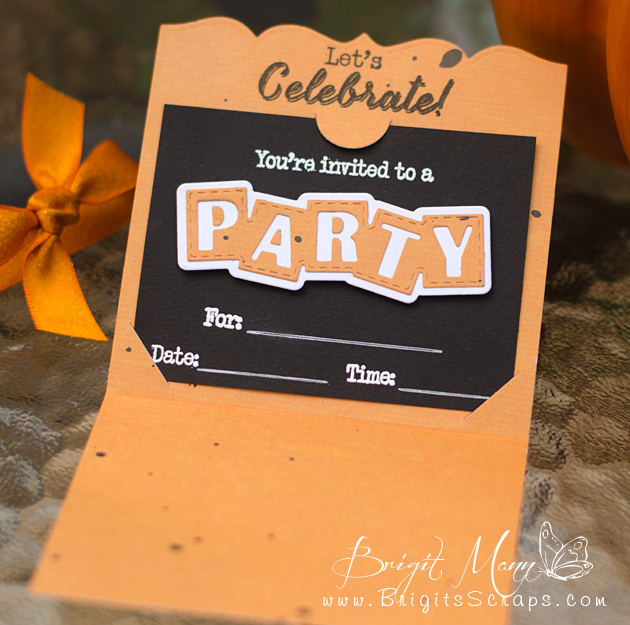 The Let's Celebration set also comes with this great two piece party die!! 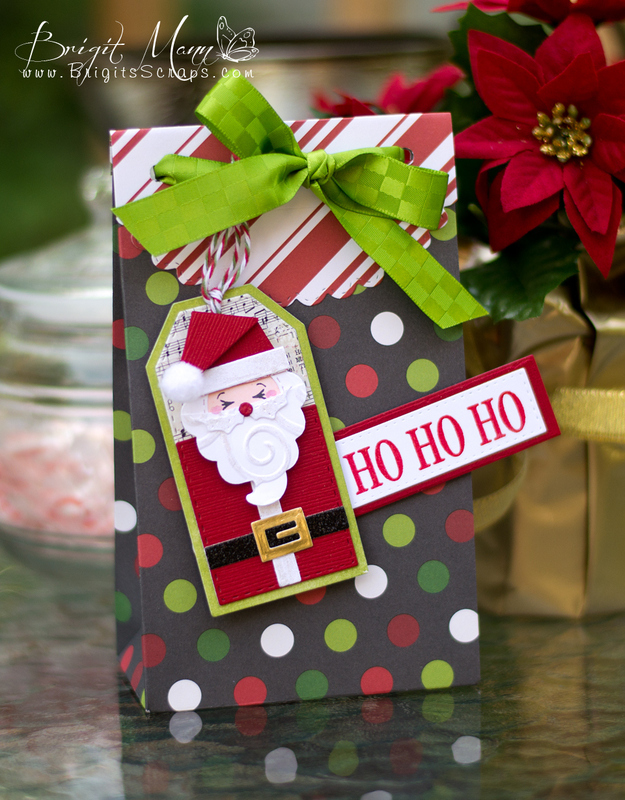 You can make little card magnets so your guest can put the inside invite on their fridge so they don't forget the date. 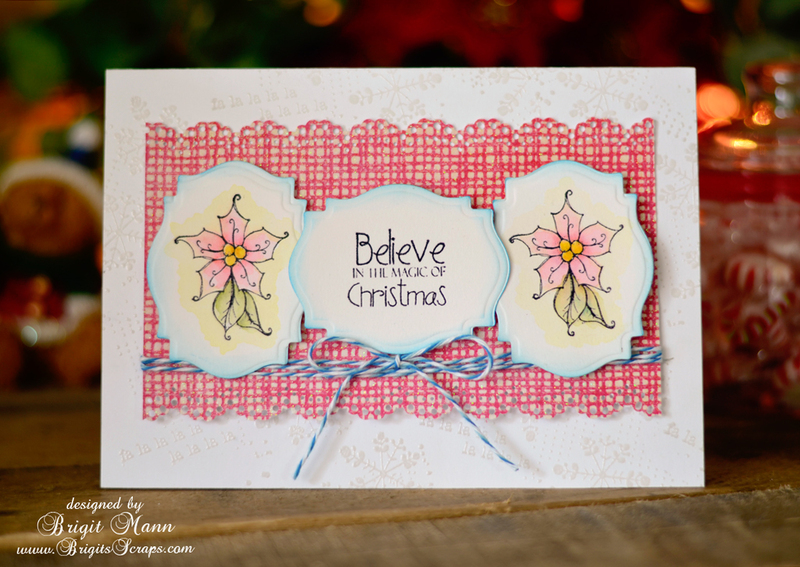 I used thin magnetic sheets and glued my stamped cardstock to it.